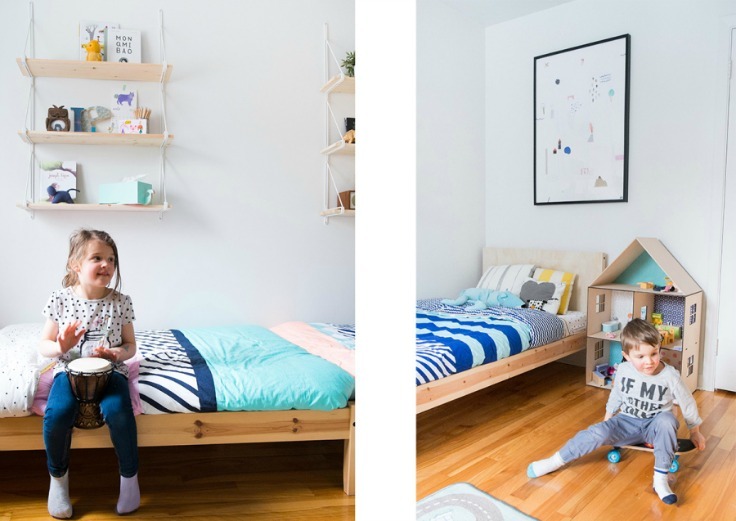 Today we are showing you the beautiful Milie and Téo’s room in Montreal. 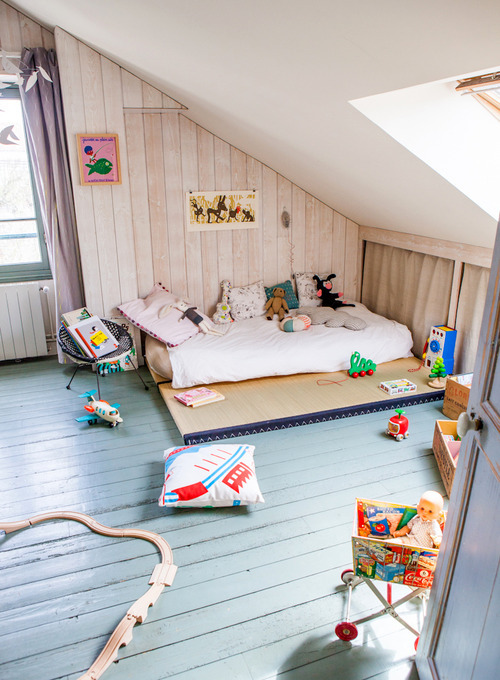 Their parents, Geneviève Lugaz and Christian Laforge, founders of toy brand Des enfantillages, have decorated it in a very harmonious way. 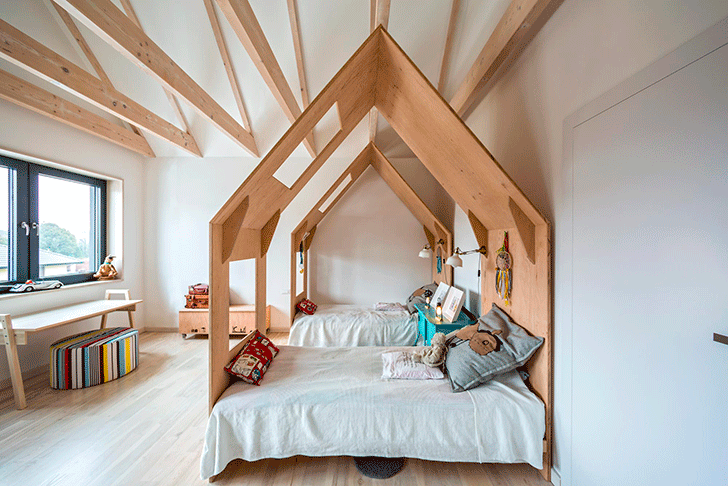 They chose white walls, light wood for furniture and bright colours for bedding and other details. 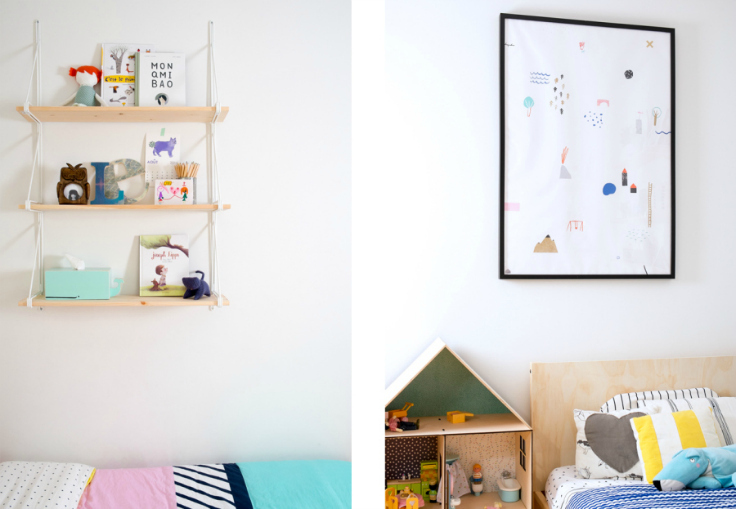 Most of the furniture is from Ikea, and they have preferred invest in accessories and little details such as the Treasure map poster by Agata Królak or the bedding from Cotton on kids. 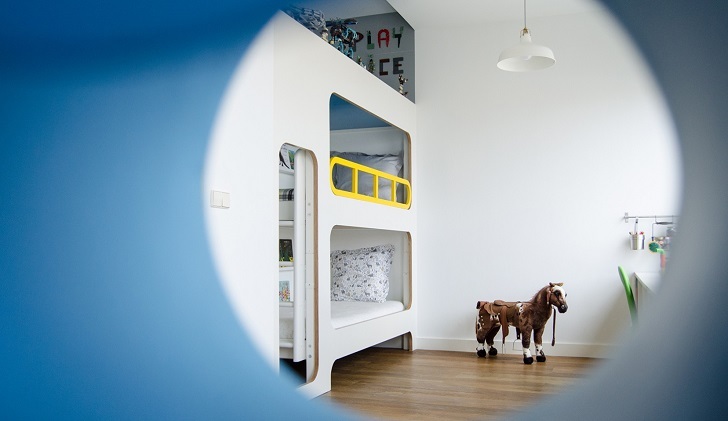 Each child has their own shelves where display their favourite books, dolls and decorative objects. 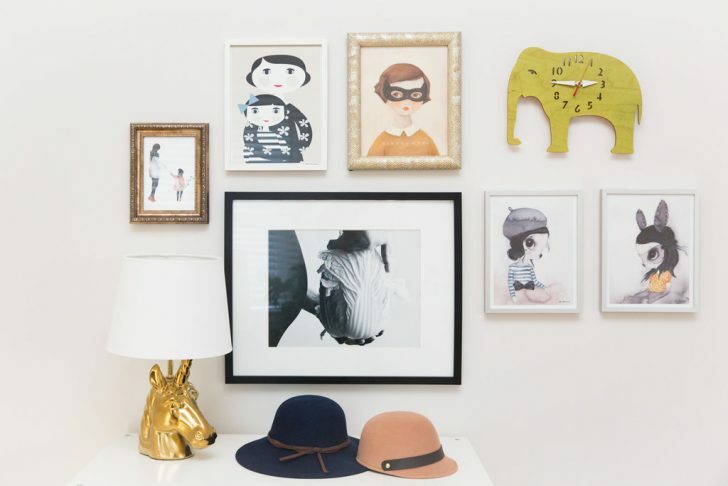 Books and prints add sweetness to the room. 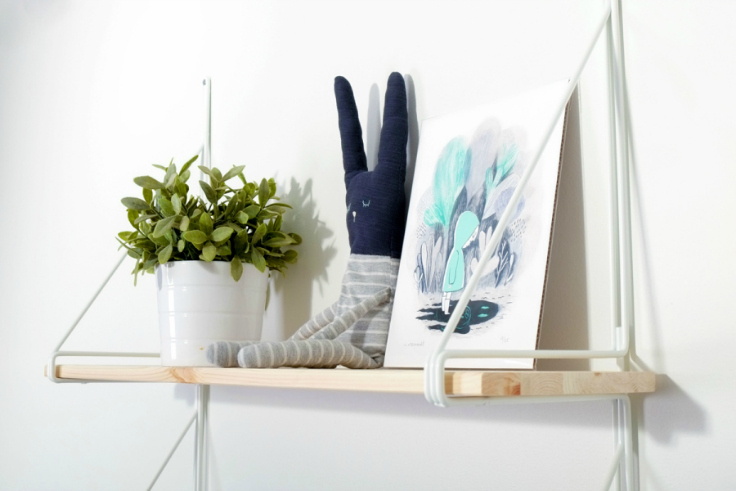 We really love this sweet illustration by Isabelle Arseneault and the homemade bunny doll (you can find the tutorial here). 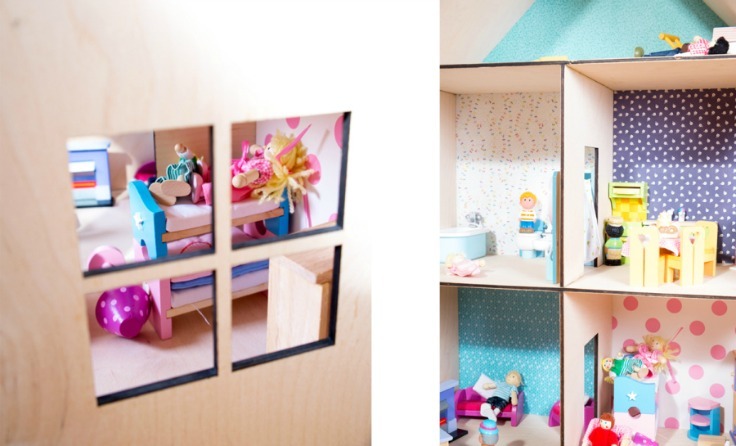 On the Ikea cupboards, you can recognize some of the beautiful Des enfantillages’ toys, like some pieces of the Balancing game or the House in a bag. 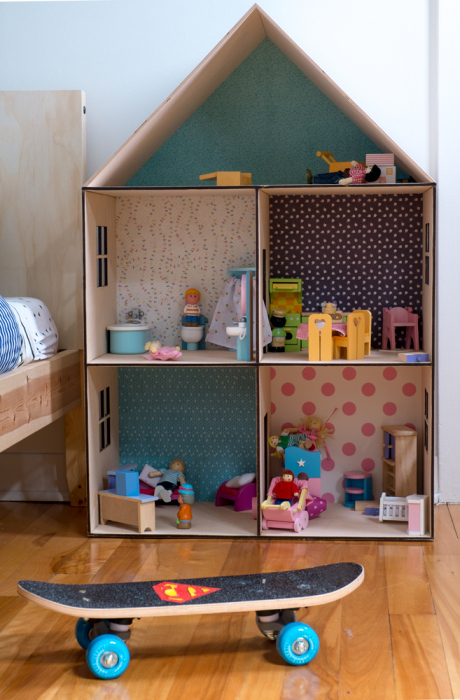 Genevieve and Christian have designed a dollhouse specially for Milie and Téo. 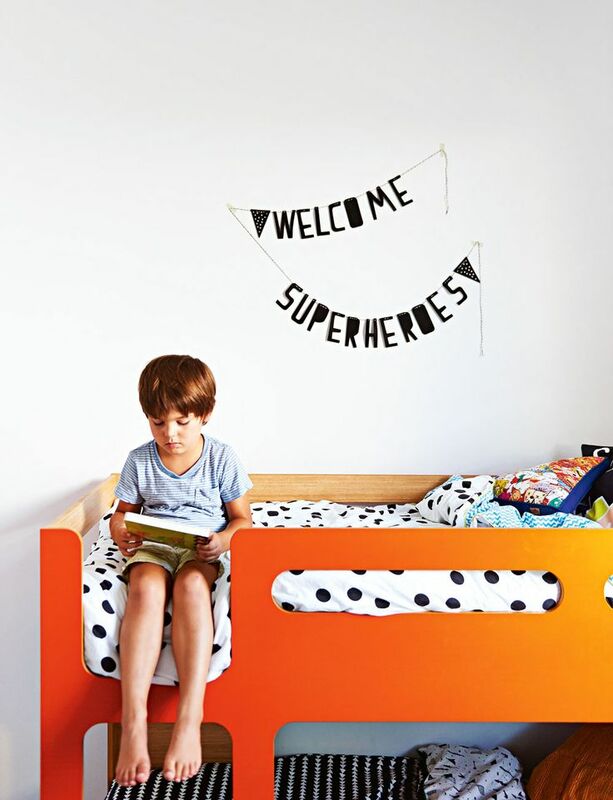 They can be transformed into a bookcase (it’s a good idea, isn’t it?). Such a cute room with lots of details!